Lifestyles Travel announces the next exciting Bliss Cruise. If you have ever been on a Lifestyles Cruise, you will know what we are talking about here. Starting the evening before the cruise ship leaves the dock, there is a non-stop party atmosphere going on that fails to slow down until the end of the cruise. This will be a Full Ship Take Over, Clothing-Optional Lifestyles Cruise. As a Full Ship Takeover, this means you can be naked or any part of naked on the pool decks, or the special Clothing-Optional excursions offered to you. Early birds that book a balcony or higher will get a FREE HOTEL ROOM*** the night before the cruise as an extra incentive. No other agency offers you such a crazy deal. We put you up in a hotel room, party your butts off the night before, then put you in a high end bus and take you to the dock and we handle your luggage for you. THIS OFFER IS ONLY AVAILABLE ON LIMITED PROMOTIONS, then it will cost you about $240 for the room and the transportation! Just enter the Promo Code "FREEHOTEL" when you book before December 31, 2019. Bliss Cruise has announced the April 19-24, 2021 Celebrity Infinity Cruise! The five day sailing will depart from Miami and visit Ocho Rios, Jamaica and Georgetown, Grand Cayman. 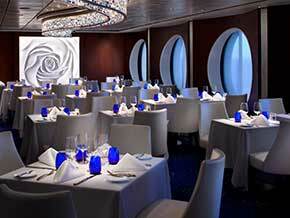 Celebrity Cruises will spend over $500 million in the coming years to revitalize its fleet of luxury ships. 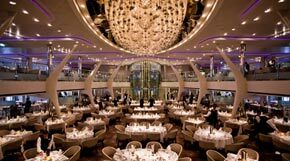 Dubbed the "Celebrity Revolution" the effort will include a refresh of staterooms and public spaces aboard nine Celebrity Ships to bring their level of luxury up to standards of the line's forthcoming class of ships, Edge. The entire project is set to be completed between February 2019 and February 2023. These renovated ships will also feature new Retreat Sundecks, complete with loungers and cabanas, plus food and beverage service. The Suite Class-only restaurant, Luminae, will be re-imaged, with an all new look and custom menus created by Celebrity's Michelin-star chef partner, Cornelius Gallagher. Staterooms will also have Celebrity eXhale bedding including those luxurious cashmere mattresses, and new high-tech features such as RFID locks, Xcelerate and Bluetooth capabilities. *** The free hotel room offer is only available when booking a Veranda (Balcony) class cabin or above. Limited to one promotion per customer. 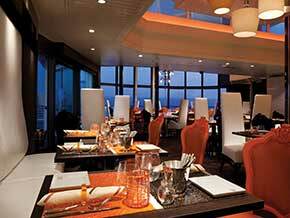 The Main Restaurant is the centerpiece of our immersive and enriching range of culinary experiences. We're proud to present an unparalleled wealth of choices every evening. Working literally around the clock, the galleys delight in sending out artfully presented dishes, every delicate micro-green garnish perfectly in place. And, as part of our Top Chef at Sea experience, you'll have the opportunity to indulge in some of the dishes that the judges raved about on Bravo's Emmy® Award-winning TV show, Top Chef. Top Chef Night in the Main Restaurant features a full menu of delicious appetizers, soups, salads, entrees and desserts that were big hits on the show. Qsine®, our one-of-a-kind specialty restaurant, features a uniquely unordinarySM approach to dining. At Qsine®, we strive to awaken your palate through a modern and whimsical approach to familiar dishes from around the world. Food is artfully presented, without traditional courses, and intended to be shared. And, to make it even more playful, the menu and wine list are creatively presented on an iPad®. Let your Culinary Tour Guide take you on an unforgettable journey. Now our Tuscan Grille steak house, the popular Solstice® Class restaurant, brings its dry aged steaks and freshly made pastas to Celebrity Infinity, too. In addition to its modern twist on traditional steaks and its wine list highlighting Italy, this incarnation presents a unique Italian cocktail menu�a first for Tuscan Grille. Attention taste buds: "You're welcome." 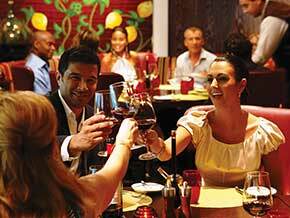 All dining and stateroom gratuities are included in your additional charges fees. 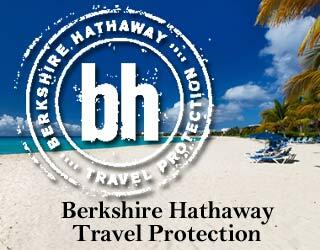 This eliminates all of the envelope gratuities payments from past cruise experiences. 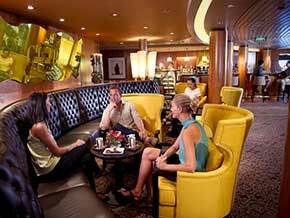 Alcoholic beverages, soda, and coffee drinks are not included in the gratuities, therefore Century Cruises will automatically add 15% to each of your individual bar tabs. For the comfort of the CEntury Cruises Staff, all cabin doors must be closed. Additional charges that will be added at time of full payment are included in your quote/invoice . This mandatory payment is for CEntury Cruises to cover government fees, entertainment, enhanced security and gratuities for the dining and stateroom staff. This can and is subject to change based on increasing fuel charges. This is a private charter just for our group. As such, there are a host of special amenities, parties, entertainers, and events.